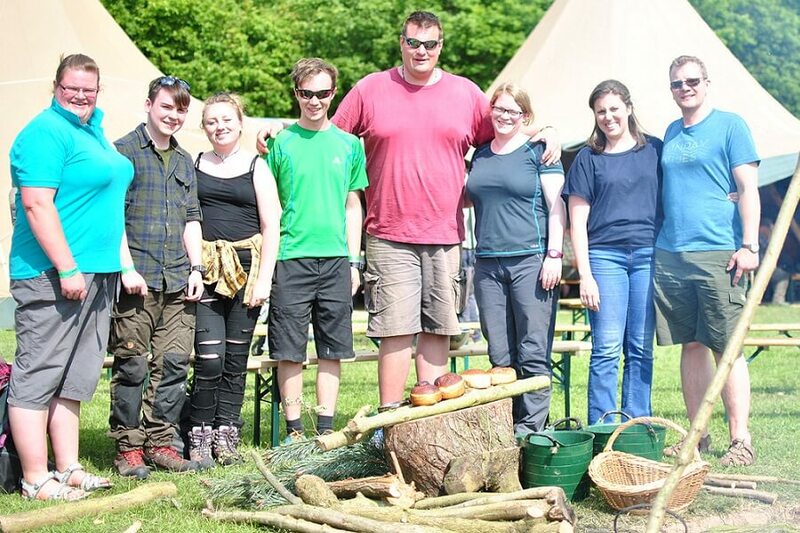 It was great to be providing bread baking workshops at the Bushcraft Show again this year. Places filled very quickly, early on the Sunday morning, while the baking area was set up in front of the main stage. 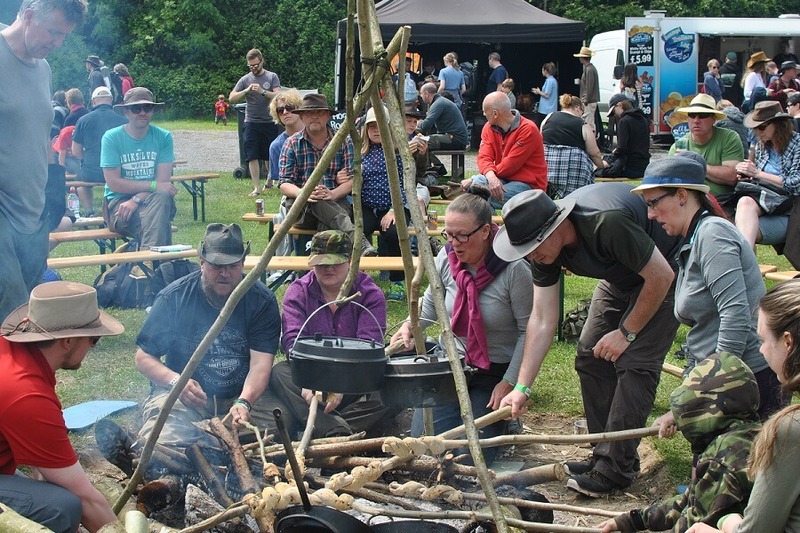 The huge teepees of the main stage provided a nice back-drop and meant lots of people could learn about bread baking on campfires, whilst watching some of the teams make and kneed their dough, make bannock while waiting for the dough to prove, before finally baking their bread. 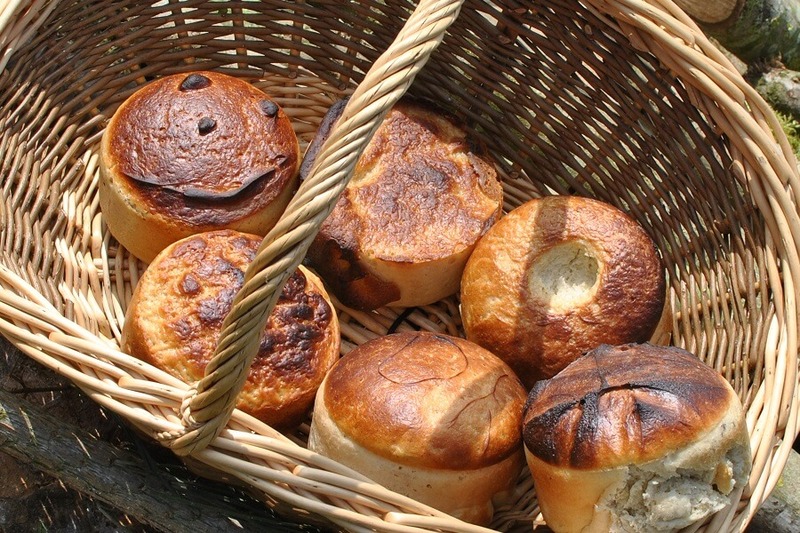 We baked bread using Petromax Dutch ovens (the FT6 model, one with and one without legs). Whilst you can bake good bread using mugs, pots and pans, a cast iron oven distributes the heat of the fire more evenly and as a result creates a more even bake. You can see a few green sticks in the bottom of the ovens – these raise the small tiffin tins up to allow convection to distribute the heat around the loaf. Alternatively you could use a few pebbles or stones or even use a purpose made trivet! It was a shame there wasn’t enough room for everyone to bake bread – but it was lovely to see perfect strangers with a hunger to learn, happy to work together to form baking teams. The baking teams produced some lovely loaves with patterns created so each team could recognise their loaf – The recipes used are all available – details below. It was wonderful to chat with old friends and make new ones and a big thank you to Olivia Beardsmore and her fabulous team for putting on such a wonderful event. 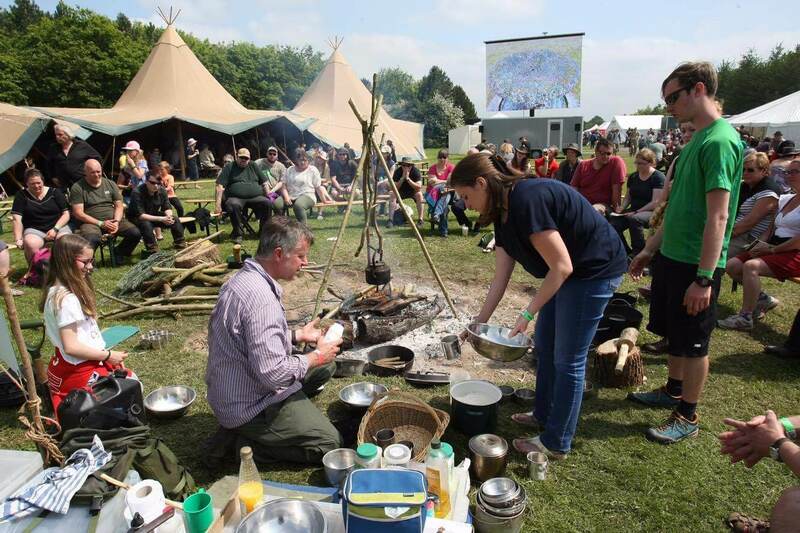 It was great to be back at the Bushcraft Show again this year. If you’d like a copy of the bread baking recipes used in the workshops then just subscribe! No, you don’t to have been participating, just have an interest in baking bread over a campfire. I’m hoping the budding bakers will do their homework and bake some bread by the end of June! 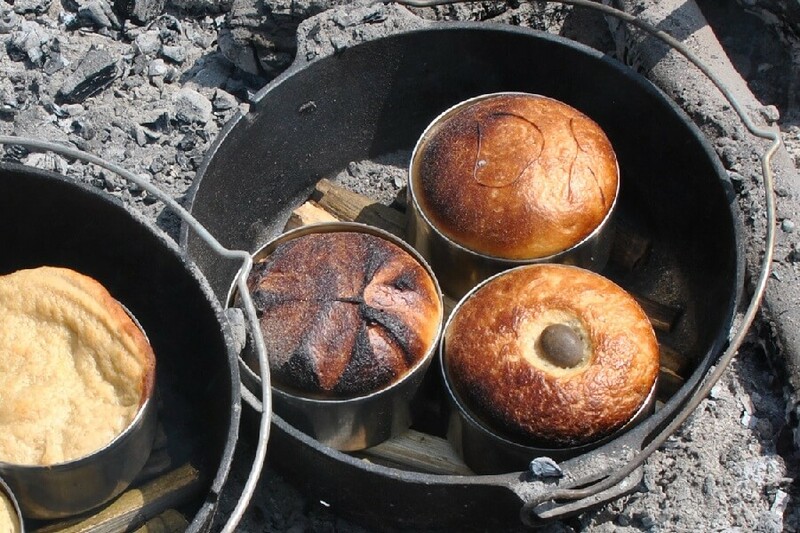 By all means share pictures of your bread baking over on the Bushcraft with David Willis Facebook page I’m looking forward to seeing the results!